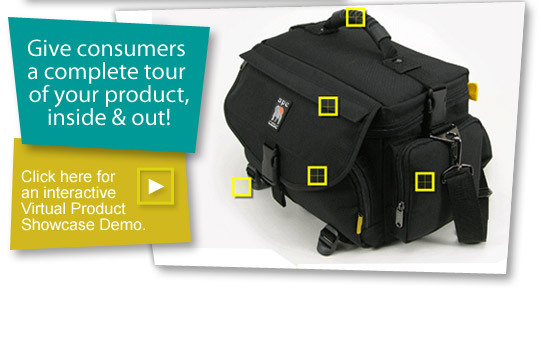 This interactive product showcase allows the user to have complete control and view every angle of a Norazza brand camera case. The product is manually rotated by the user a full 360-degrees while also opening every pouch and zipper to reveal all details of the bag. Users even have the option of clicking to view larger details. The product was first photographed in every possible combination and was then pieced together in post-processing to allow user control and rotation. The end result is a unique product presentation tool, which can be seen on the Walmart website, and not only provides a detailed look at and into the product, but offers a fun user experience.